You know how we love a great Kickstarter project, and this one is a ripper! It’s a really different take on helping kids tackle a fear of the dark – without the need for night lights. A storybook that works in conjunction with a very clever duvet cover – we think you’re going to love this concept as much as we do. 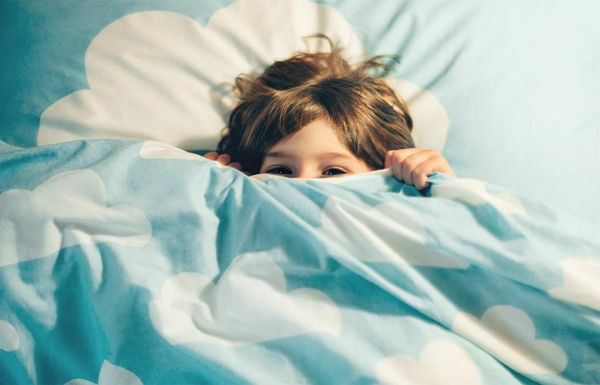 The creators of Glow Away have worked with psychologists, paediatricians and designers to develop an innovative way to deal with the age-old problem of children who are afraid of the dark. The aim of Glow Away is to create a magical world that can help children change their fear into empowerment. 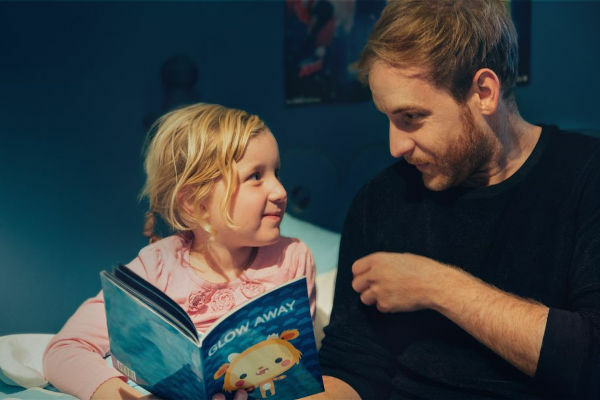 It starts with the Glow Away book, in which the character Boo teaches Sam a magical spell to protect him from monsters at night. And here’s where the connection to the “magical” quilt cover comes in – the spell makes Sam’s duvet glow. Parents are then encouraged to chant the same spell with their children, and switch off the bedroom lights. 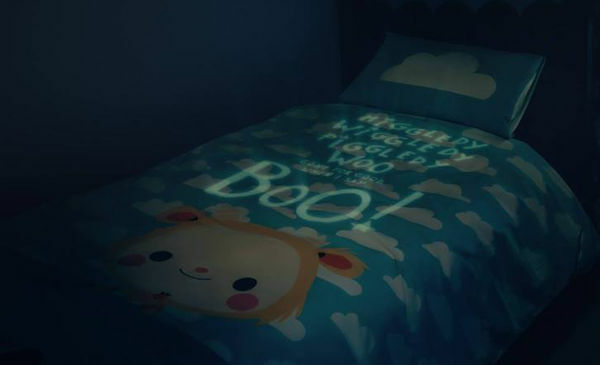 And that’s when the glow-in-the-dark duvet cover will come to life, and hopefully ease the child’s fears. 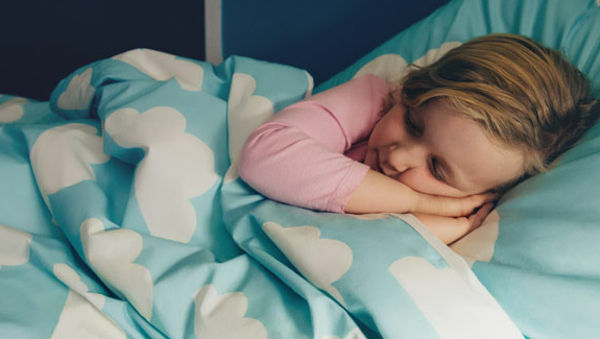 The duvet cover is made using non-toxic glowing ink, which is water-based. Just make sure you leave the bedroom lights on for 30 minutes before you turn them off to ensure the ink is recharged. 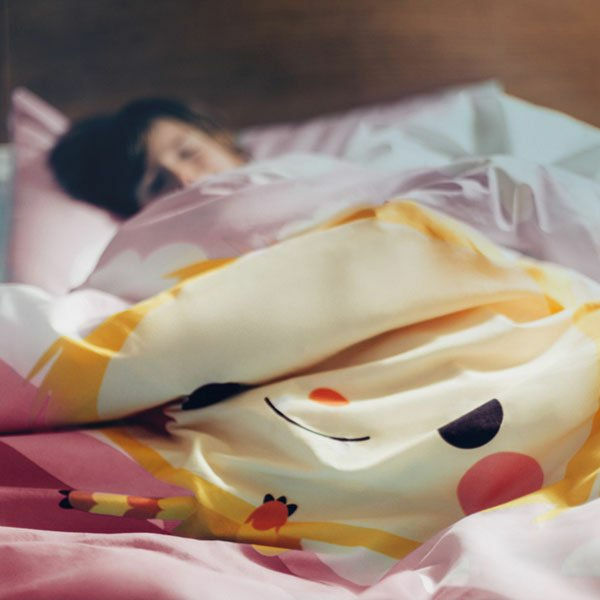 The duvet cover also comes with a pillow case. So, here’s why we love crowd-funding projects. Because this is a Kickstarter, you get the chance to hop on board and help fund Glow Away, and once it reaches its funding goal, you get products for less than the retail price. For example a pledge of US$99 or more will get you a Glow Away and signed book, audiobook, plus shipping worldwide, around May this year. If you’re quick, a Glow Away Lite version has been added to the Kickstarter. For US$49 you get a duvet cover, sham and ebook. If you miss out on nabbing the special Kickstarter price, you can buy Glow Away directly, for US$129, which gets you a duvet cover, pillow case, book and keepsake box.